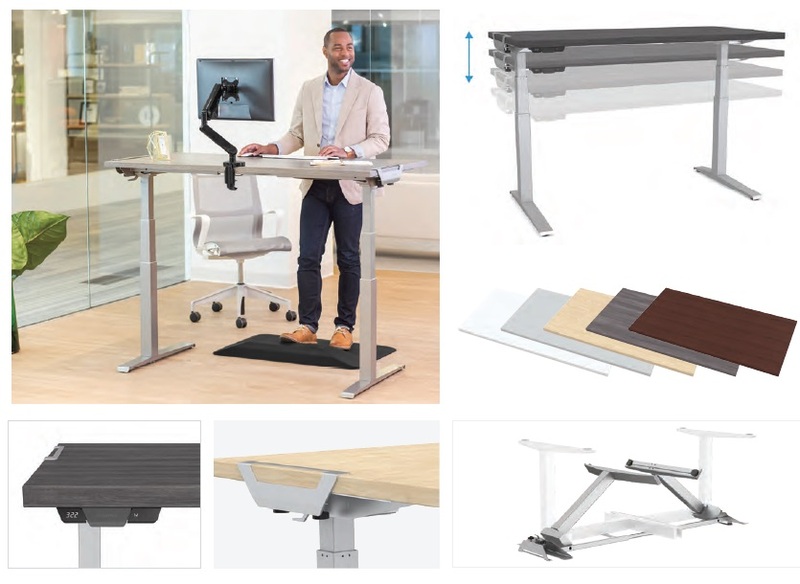 The new Levado Height adjustable desk by Fellowes. It features feather lift control paddles and 4 programmable memory settings. It’s also fast and easy to assemble - fold out the legs and lock into place. The top and base are sold separately so that you may select the right top color for your office. Click here to view the product video.